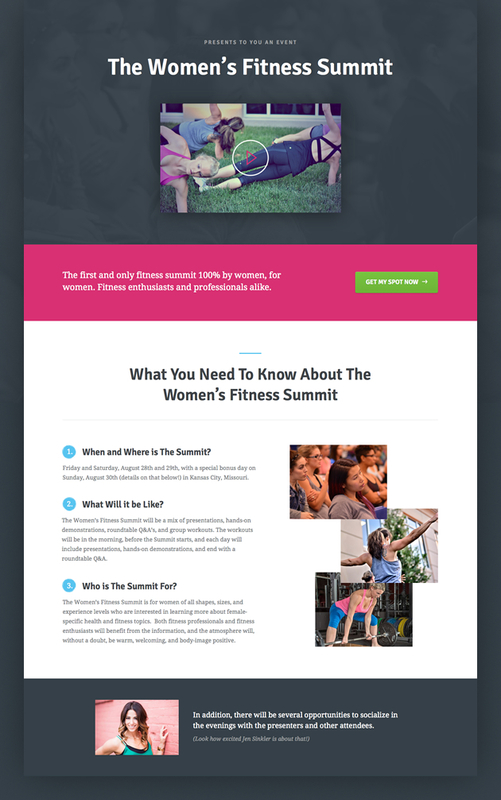 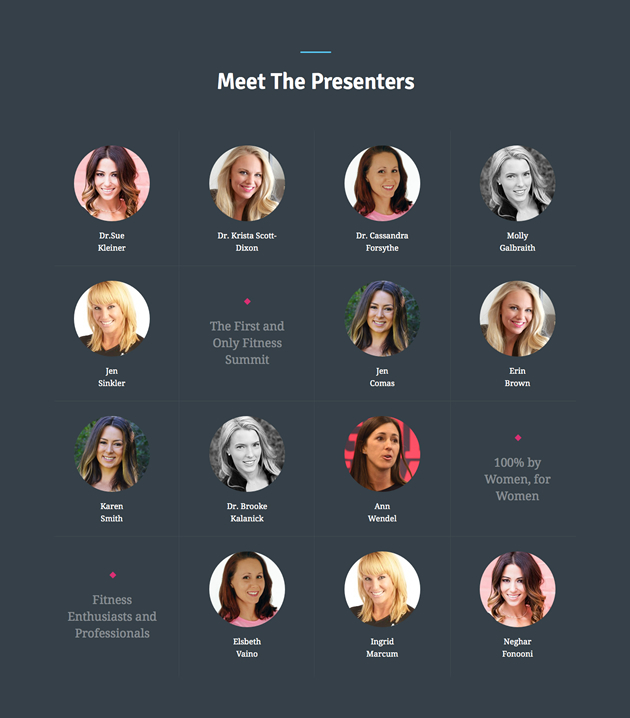 The first and only fitness summit 100% by women, for women needed a specialized landing page designed to inform and register event attendees. 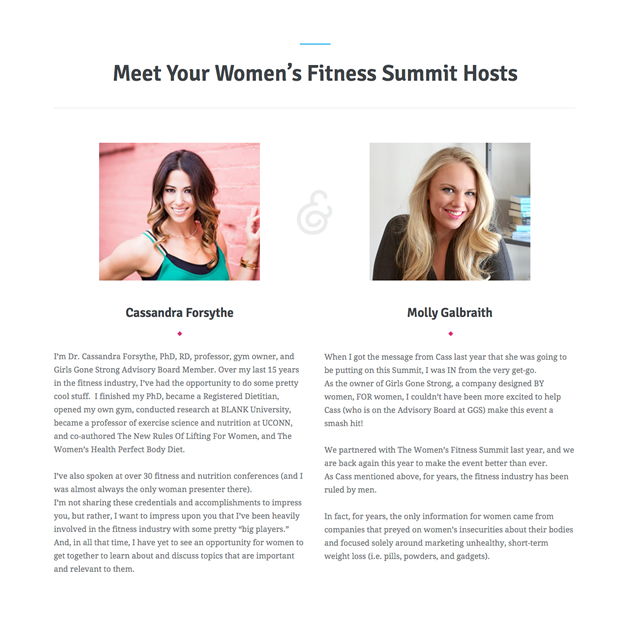 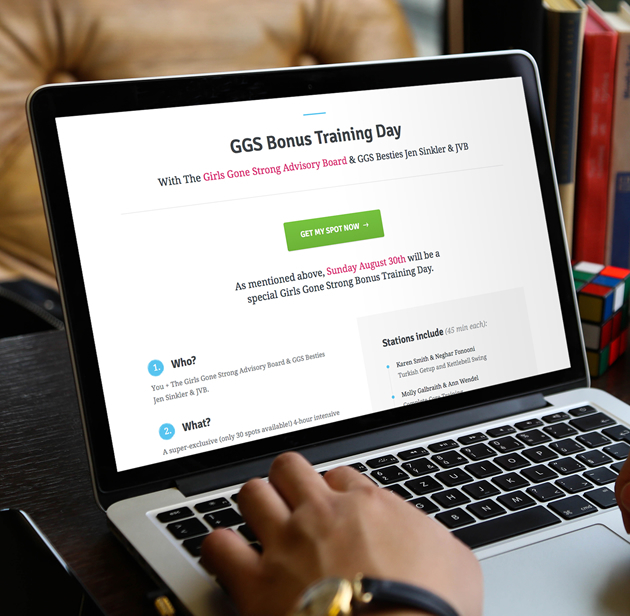 This annual fitness summit web-page conveyed event details, highlighted a compelling video, and not only registered event attendees, but also processed their payment for the event. 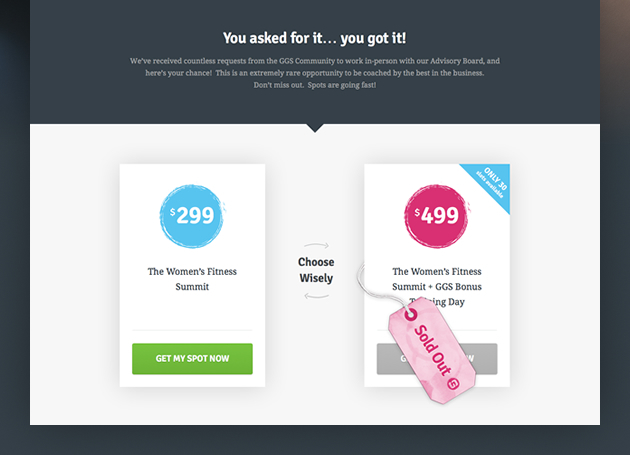 With simplicity as the guide this web-page was the platform that enabled this event to be SOLD OUT. 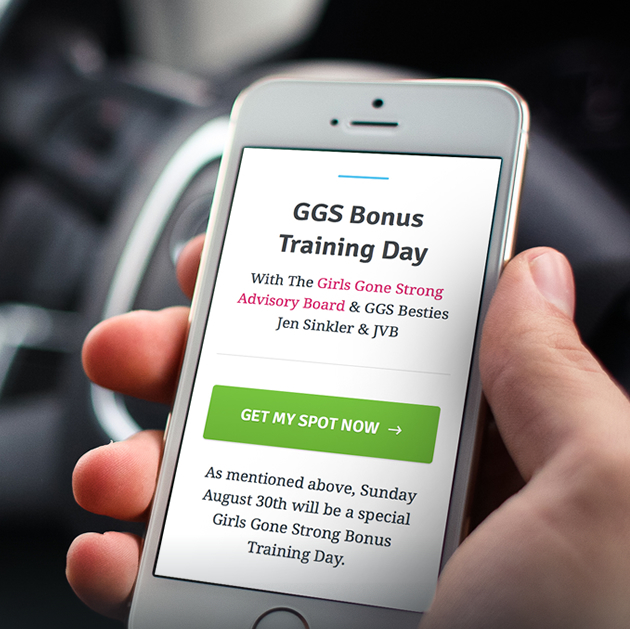 Through the leverage of a social media campaign and the strength of the web-based registration process, every seat was filled and each payment was able to be processed through a convenient and custom built Pink Point solution.